Over the last week i finally got to watch a film which has been on my ‘to watch’ list for a long time. Ever since Sherlock Holmes first came out in 2009 i had wanted to watch it, but for some reason i didn’t make it to the cinema in time and for some reason it took until now for me to get around to watching it! 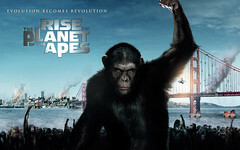 I was really looking forward to watching this film, myself and a friend sat down on Saturday night to watch it. From the very start i could tell it was going to be a great film. The way the sets and locations were decorated and with the brilliant cast including Jude Law, Robert Downey Jr. and Rachel McAdams it was acted perfectly and just like i imagined Sherlock would be, i had never read anything relating to Sherlock before, but knew what he was about. The fight scenes were very well done, Sherlock at one stage found himself in a boxing ring (underground as it seemed) and was taking a fairly big beating. Suddenly the film went in slow motion and explained step by step how to disable the opponent then would replay the moves in real-time speeds. Simply excellent camera work and acting by all the actors involved. 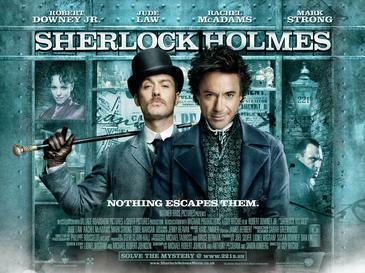 The plot of the film was that Sherlock and his partner Dr. Watson had to prevent an overturn of the government by a man who they thought they killed at the start of the film. I really enjoyed this film and am certainly looking forward to the second film in the series coming out later this year (December), i am sure that i will definitely make it to the cinema this time to see it!